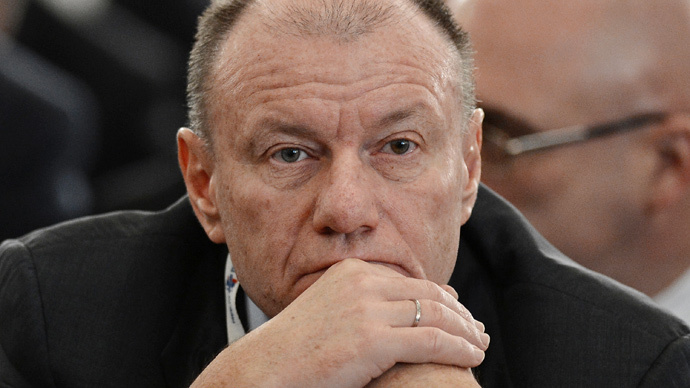 The effect of sanctions is waning and its high time investors returned to Russia, said Vladimir Potanin the CEO and a principal owner of Norilsk Nickel. He adds that Russia and the US had great potential for rapprochement. “Nobody wants more sanctions. I think we reached a stable level in terms of tensions,” Potanin told Bloomberg Television Monday. Potanin said Russia and the US had great potential to be friends, but something “has been broken” since Russia showed support for the US after September 11. It is hard to change the legacy of relations between Russia and the rest of the world, but relations could improve if the parties had a “challenge to overcome together,” said Potanin adding that Russia wants to be friends, not pupils in the class. 2015 has seen signs of improvement in Russian-US relations. Assistant Secretary of State Victoria Nuland's visit to Moscow this week came days after President Vladimir Putin met US Secretary of State John Kerry for the first time in more than a year. Though no concrete deals were reached, experts believe the visits come as a sign that the two countries want to find a resolution to the political and economic crises over Ukraine. Both Russia and the West have acknowledged that a so-called ‘sanctions war’ is a dead-end policy that hits everybody. European experts estimate the West lost €40 billion last year, which includes a €12 billion loss by European farmers. In November last year Russian Finance Minister Anton Siluanov acknowledged that the country is losing about $40 billion a year because of the Western sanctions.